Central London market indicators remain positive as we move past the first quarter of the year, with similar performance expected for the rest of 2018. Since the referendum vote almost two years ago, we have become used to daily stories outlining the multiple negative scenarios that are likely to befall us as we approach Brexit in 2019. In addition, growing tensions between the US and China have raised fears of a trade war, which has the potential to cause significant damage to investment and jobs across the world. Against this backdrop, it would not be unreasonable to assume that the London real estate market would be impacted. However, once again the capital appears to have defied gravity, returning another positive set of results and reinforcing the city’s position as one of the world’s most attractive places to conduct business. Occupier take-up of Central London office space has now returned above average levels for six consecutive quarters. The first quarter of 2018 saw 3.7 m sq ft of transactions, which is less than the preceding quarter but the strongest first quarter performance since 2010. Take-up was certainly inflated by the inclusion of Deutsche Bank’s pre-let of 550,000 sq ft at 21 Moorfields, EC2, a deal conditional on a planning consent which was granted in the first quarter. This transaction may have boosted the figures, but it should be noted that even without this pre-let, take-up for the quarter would have exceeded average levels. The supply of office space in London is falling; the vacancy rate at the end of the first quarter was 6.8%, the lowest for almost two years. The tightening of supply along with the shrinking development pipeline has led to a noticeable increase in the demand for pre-lets. Occupiers are activating searches of all sizes well in advance of lease events, conscious of the need to secure preferred options. There is just 4.0 m sq ft of speculative space under construction in Central London due to be delivered before the end of 2019, roughly the equivalent of just six months of supply assuming current levels of take-up. However, uncertainty over the economy continues to weigh upon both occupiers and landlords. Despite the tightening supply and thinning pipeline, rents have remained static in most markets. We expect rents to come under upward pressure as we get closer to Brexit, but until then we should not expect any significant rental movement. There was little change in investor demand for London commercial real estate in the first quarter. Turnover totalled £2.25 bn, more than half the amount transacted in the same quarter last year. However, it has been some time since turnover accurately reflected demand; the reality is that the volume of capital targeting London assets vastly outweighs supply, and will continue to do so for the foreseeable future. Overseas purchasers continued to dominate the investor profile, accounting for 90% of transactions in the first quarter. Buyers from Greater China accounted for more than half of all overseas money entering London property. We expect inflows from this region to continue, although tightening capital restrictions may affect the ability of investors to deploy capital. Given the levels of demand, there has been no outward pressure on prime investment yields. In the City, the prime yield remained at 4.25%, while in the West End the prime yield was 3.50%. Central London property remains competitive against not only other major global cities, but also against other asset classes; for the time being at least, we do not see the city’s attractiveness waning. 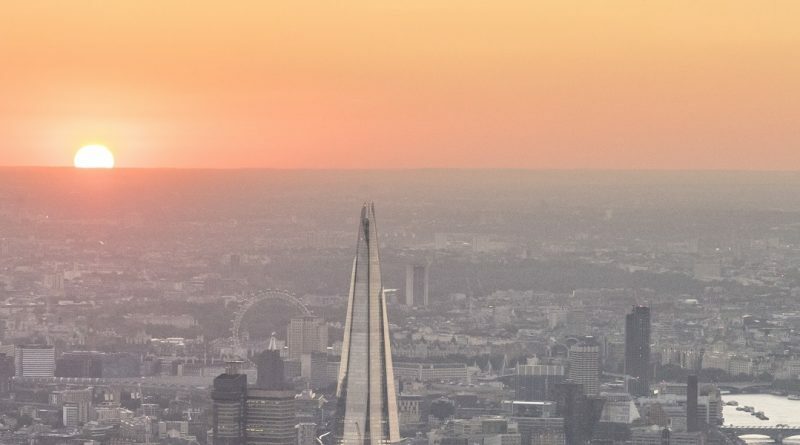 In summary, despite potential headwinds in the form of Brexit, trade barriers and capital controls, the fundamentals of healthy demand and a lack of supply in the London real estate market remain in place across the spheres of both leasing and investment.